Ozzie Rodriguez went four strong innings, striking out three, in the Pirates’ victory. 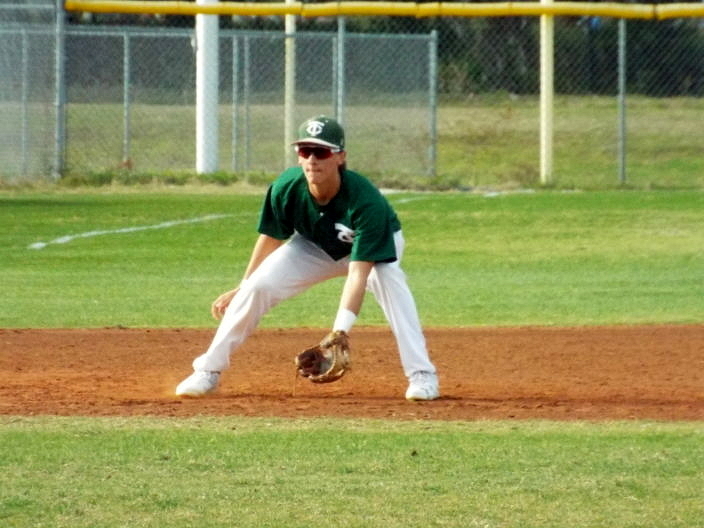 The Tampa Catholic Crusader’s traveled to Gulfport Wednesday to take on the red-hot Boca Ciega Pirates, who came in winners of three in a row and undefeated at home. The Crusaders jumped out to the early lead but a bases-clearing double from Max Dlugozima in the second sparked the rally and the Pirates came away with the 7-4 victory, their fourth in a row. The Pirates (5-2) came into game having scored 26 runs over the course of the last three games, but it was the Crusaders (2-5) who struck first. A series of miscues with men on base doomed the Pirates early as Mitchell Carter, Calvin Rucker and Christian Docobo all scored in the top of the first inning to give the Crusaders the 3-0 lead. The Pirates went down in order in the bottom half of the inning. A collision on a catch between a Crusaders’ batter and a Pirates fielder seemed to light a fire under the Pirates, who used that energy moving forward in the game. That surge finally manifested itself into runs with one swing of the bat from Dlugozima, who cleared the bases and tied the game at three. Colton Ryan, Chris Jones and Myles Jones all scored on the double from Dlugozima and the rally was on. Dlugozima came around to score the go-ahead run on a triple to center field from Nathan Campbell during the next at-bat. Luke Paulson prepares to make a play on a hard-hit ball from the Pirates. Pirates’ starter Ozzie Rodriguez returned to the game in the third inning with a three-run lead instead of the three-run deficit he left the second inning with. 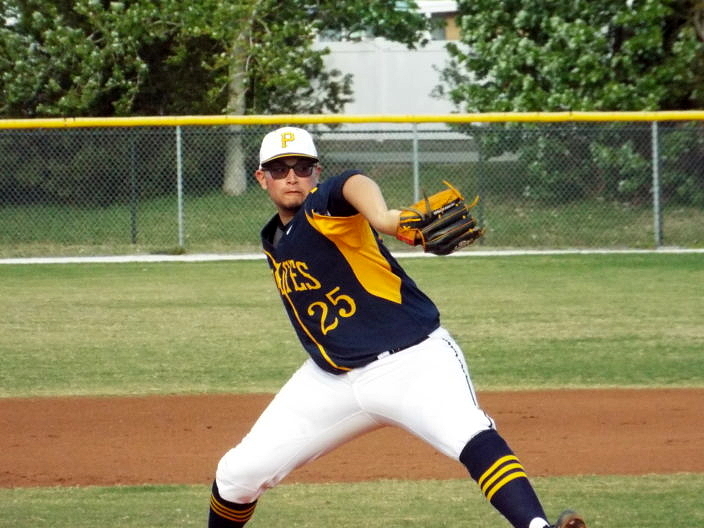 Rodriguez settled down and went four innings, allowing three runs on six hits and striking out three. Desmond Mack pitched the final three innings for the Pirates, allowing one run on two hits and striking out one. Max Dlugozima’s second run of the game gave the Pirates a 7-3 lead. 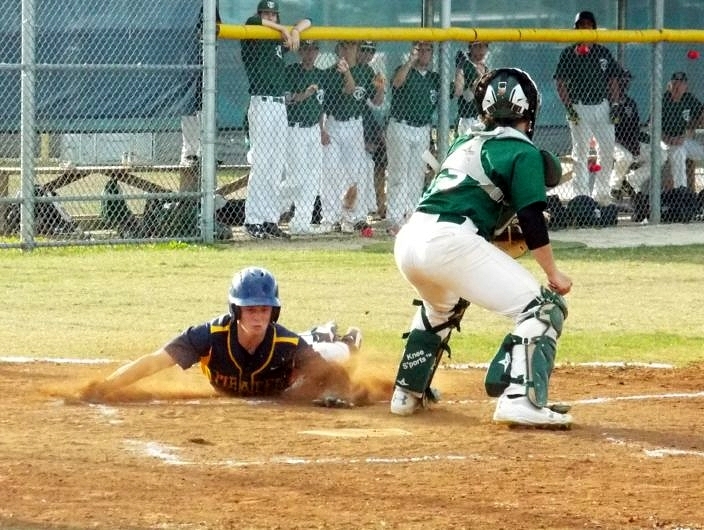 Two huge defensive plays in back-to-back innings stymied any chance at a comeback for the Crusaders. Down 6-3 in the fourth, the Crusaders loaded the bases with one out but a hard hit ball to Kaemic Brown was quickly turned into a 4-6-3 double play to end the inning. With the score now 7-4 in favor of the Pirates in the top of the fifth, the Crusaders once again had an opportunity with runners in scoring position but a spectacular running catch by Myles Jones in right field ended the inning and stranded more base runners for the Crusaders. Mack headed out for the seventh and had an eight-pitch 1-2-3 inning to close out the game and secure the Pirates fourth win in a row and fifth on the season.